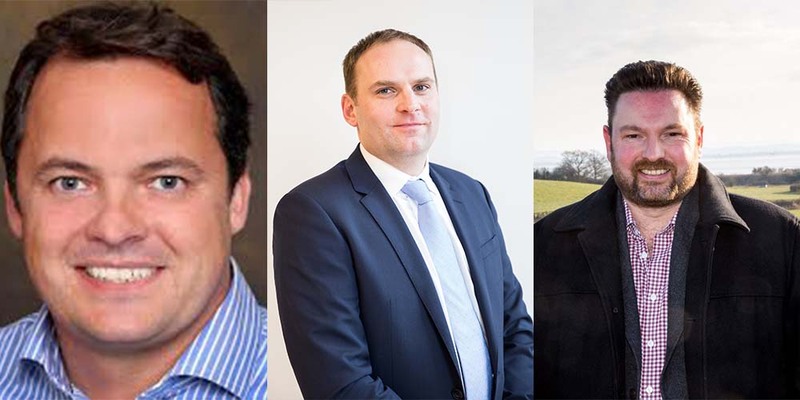 The speakers for the upcoming organic discussion, to be chaired by independent journalist Chris Walkland, at DairyTech have been announced. Richard Hampton (pictured above right) – managing director of OMSCo, who is responsible for the smooth running of the organic dairy co-operative, and who undoubtedly had a busy year in 2017 with a new dairy joint venture announced by OMSCo in Europe and a new dairy alliance formed with Wyke Farms. The debate will take place at 10.00am on the Dairy Hub. All are welcome to attend – be they organic farmers, ones who are interested in the sector or in becoming organic, or supply chain representatives. He is a seasoned agriculturalist having been born into a family dairy farm in the North East of England. He then studied agriculture before managing a dairy herd and then joining Arla in 2003, where he covered a number of agricultural related roles which included managing the relationship between a number of Arla’s key customers. The key one to this was Tesco, working alongside Tesco’s Sustainable Dairy Group (TSDG) members who supply their milk through Arla Foods. Graham then joined Tesco in 2011 as agriculture manager, initially within the meat, fish, poultry and egg category. During this time Graham was integral to the implementation of Tesco’s sustainable farming groups within these categories before moving across to dairy as their agriculture manager. Working alongside the TSDG he helped develop Tesco’s agriculture policy and strategy for the dairy category, whilst collaborating with its commercial and technical teams. Graham also developed Tesco’s Future Farmer Foundation, which was established to support new entrants and young farmers to launch their farming careers. In 2015 Graham re-joined Arla. His responsibility includes leading Arla’s customer relationships through developing aligned sustainable agricultural programmes, ensuring a high level of support to Arla’s cooperative members through the field based and office support functions and delivering Arla’s business needs with regard to raw milk volume, types and quality as well as the Arlagaarden program. He is also a key member of Arla’s UK leadership team, its member relation global management team and the UK Arla Farmer board, driving the agenda and execution of strategic and operational initiatives in the UK and across Arla’s key global markets. Rob Hutchison, is the agriculture director for Müller UK and Ireland, and thus is responsible for setting the overall agriculture and milk supply strategy. team and led numerous synergy and change projects. Prior to joining the business, Rob completed a master’s degree in engineering whilst working in the automotive industry, and has also held senior roles in the white goods sector. He is married with two sons and enjoys watching and coaching rugby along with spending time with family and friends. Richard Hampton Richard has been Managing Director of Organic Milk Suppliers Co-operative since 2015. Prior to that he was the Chief Operating Officer and thus has been instrumental in the growth of the business from a £25m cooperative to the £100m+ business it is today, with volumes going from 70m litres to 250m litres, and making it the UK’s main supplier of organic milk and the second largest dedicated organic milk pool in the world, with over 200 farmer-owner members and with core customers in the UK, Europe and the USA. Richard is now focused on the next phase of growth for OMSCo as it looks to gain a greater share of the global market and capitalise on the demand for organic ingredients for infant formula. He is passionate about the organic dairy industry, and has been pivotal in the co-operative building partnerships with a range of processors overseas, plus an alliance with Organic Valley in the USA – the world’s largest dedicated organic milk pool. As a result, OMSCo has developed a global spread of customers for a broad range of specialist organic dairy powders, is the UK’s largest organic cheese producer and the UK’s only source of organic whey. The co-op retains an active technical development programme focusing on specialist milk types, which has allowed it to launch the only European organic dairy brand in the United States, as well as USDA-compliant organic dairy ingredients to customers in Europe – an area destined for significant future growth.